This may not be the place to post this, but the Moab staging area doesn't seem heavily visited. Folks…..Heading to Moab Aug 5-10, and long story short, guess I’m going alone. That was not the original plan. Also, I was just tagging along, so all the trails and itinerary were to be planned out, which is no longer the case. 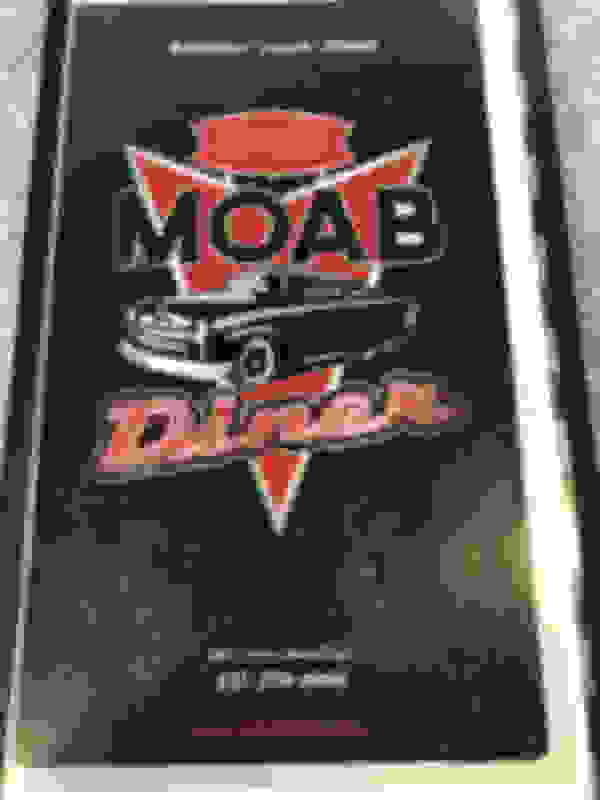 I’m a “planner”, and I’m now down to 2 weeks before leaving…..and the amount of information about Moab is quite overwhelming. I was wondering if some of you could offer some advice. To start, I feel pretty capable, both myself and jeep. Typically when solo, I really error on the side of caution. My main questions revolved around what is a definite must do, and what if there are things I’m thinking of that I should not do solo. I’ve contacted the RR4W group out there, but have not heard back on my questions. First question - I’d really like to see the Confluence in Canyonlands, but if that that is only going to happen if 1) we hit it on Sunday en route to Moab, and 2) if i can drive up pretty close to the overlook. I’ve looked a good bit, but most searching about the Confluence is about hiking, and I don’t have the time or patience in the dead of summer to hike that. Am I able to drive from Elephant Hill trail out to the overlook with a short walk up to see it? Hit Gold Bar Rim and then take Golden Spike over to Poison Spyder. That is pretty much a full day. Top of the World looks like a day…...1hr 15 mins out (and another 1hr 15 min back), and 5 hours to run the trail? Is that even worth it? That is a long ways for the one picture we all want…..amiright Jadmt? 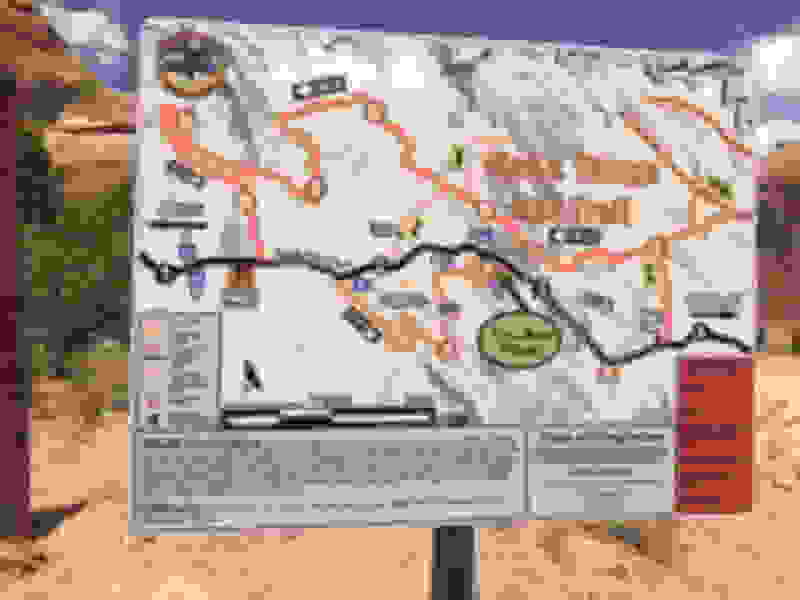 I REALLY want to do Moab Rim…..but I’m REALLY hesitant to do that alone. Bad idea? Is it worth it? Safe to do alone? I’m just going off RR4W’s ratings…...but they are kinda odd. Like Hell’s Revenge is a 6, but I’ve read a lot about pretty much stock vehicles are fine. I understand those vehicles might be bypassing things. I feel pretty fine doing 5’s and 6’s…...and think I’m fine on a 7 by myself….but again….I’ve not been out there before so hard to judge based on videos. Also, I’m open to something that is not jeeping if there is just a “you can’t go without doing this!” thing. It just seems the wrong time of year to be out hiking around in the National Parks….so I wasn’t all that worried about seeing the arches and stuff…...unless I just need to do drive by’s. Jadmt, Dirtman, jedg, or anyone else that has advice or input….I’m all ears. Good food and good prices. Very clearly marked throughout the trail. I just visited Moab for the first time for the 4th of July. I received a few suggestions and I’m glad I took them. Fins and Things is an awesome trail. It was very scenic and had plenty of bypasses but I didn’t need any. I lucked up and met two rigs at the entrance and we agreed to all go together. I would gladly do it again. Eat at the Moab Diner and get coffee or dessert at the Moab Garage. Thanks. I've been worried about the heat a bit.....but honestly, it's like 108-110 here in DFW this week! I looked at Moab weather today and saw 99/100 and said "damn, nice!" I've wondered about the times on those trails. I move pretty fast through things, and especially if solo, there's not a lot of time wasted. All of these are things I'd not even question if with a jeep or two. Plan was to run hardest things....Was looking forward to Pritchett Canyon, but I know how things are solo from doing stuff in Colorado when up by my dad's. Middle of nowhere, no cell reception, pull up to something and REALLLLY think about worst case scenarios. I'm not afraid to turn around, blocked from my destination by an obstacle. Ideally, that's not the case, but it's always a "live to wheel another day" thing. Kind of discouraging to hear that about Golden Spike.....mainly cuz it's the perfect tie from Gold Rim to Poison Spyder. I was wondering about Porucipine Rim for the very thing you pointed out I might cross that off the list. I've seen Jax Trax, but hadn't really considered it....will take a look. It's a fine line of finding something I think is challenging for me and my build, yet ok if I'm alone. In RR4W ratings, I kinda felt ok up to that 6-7 range if those 7's either offered various lines, a bypass, or some winching, but again......trying to sort through a ton of info in very little time. Really appreciate the responses. Do you know, am I able to drive fairly close to the Confluence, or is that REALLY a hiking trail out there? I would add.....my pain threshold is pretty much flopping/rolling. That is the one thing I am not willing to do solo.....not that I want to do that with a group even, but at least you can recover it. I don't enjoy body damage, but I've had my share, and that's not the end of the world. I don't know on the confluence. We move pretty fast as well and one of my buddies broke down before golden crack and we ended up hitting the stair case in the dark and was dark from there on out and it was a beetch to say the least. The next year we did it again and it still is a long day that was with 4 rigs and all decent drivers. you do get to do part of the ps and GB I found the RR4w.com ratings are pretty good. Thanks. I'm kind of going with the worst case thoughts of not being able to meet anyone out there as well. I presume that is the proper stance....especially for this time of year. Is Strike Ravine worth doing if I don't do anything else in the BFE area? Sorry for all the follow up questions. In addition to the Moab Dinner, my girl and I also really enjoy The Blu Pig for bbq when there. If you eat there and you are riding solo, your Jeep will be listing heavily to port after dinner. The Broken Oar was another pretty good place. Lots of foreigners there though. You'll run into a lot of them though if you're going to Moab in August as that is when most Europeans take vacation. Moyo has great frozen yogurt if you're looking to cool off. It is across the street and just a bit south from the Comfort Suites. The only off roading I have done when I was there was the Colorado overlook from the Needles District ranger station in Canyonlands and the Needles overlook. Both were done in a Ford F-350 that had about 3000 pounds of tool boxes in the bed. I really had no problem with either of those trails but I didn't want to risk my work truck on Elephant Hill or anything much harder. Unfortunately, every time I have been to or through Moab it has been part of a work trip and always in my dang work truck and never in my Jeep. I'm going to try and change that sometime this fall and force myself to get out there in my Jeep. Last edited by chiapeteater; 07-21-2018 at 02:29 AM. If you like your beer then you might bring yours along as Utah has weak beer unless you get it from a Brewery. Moab Brewery has a decent selection. Its going to be hot an a dry heat. Make sure you have a bunch of water and make sure you drink it.The elevation makes a big difference too as the sun is more intense and really cooks you. The trails you picked should be fine. Time will depend on how often you stop to enjoy the scenery or if you have to wait on other groups as there many spots that are only 1 lane. You will find a lot of steep climbs and decent but the traction is insane and just stay on the black marks. First time on hells revenge is scary without a spotter but can be done with a stock JK. Biggest thing is you can't see over the hood and the first drop is the critical point. Going back up is the same, you can't really see the trail very good as you are pointed straight up. Poison spyder, golden crack is a breeze and you will get along the rim for some great photos. Have a great time.